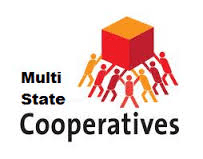 How to form a Multi-State Co-operative Society in India? Posted On November 15, 2012 by &filed under Legal Tips. The Multi-State Cooperative Societies Act, 2002 which substitutes the earlier statute of 1984, facilitates the incorporation of cooperative societies whose objects and functions spread over to several states. The Act provides for formation of both primary (with both individual and institutional members) and federal cooperatives (with only institutional membership). Any application for the registration of a multi-state cooperative society, of which all the members are individuals, should be signed by at least fifty persons from each of the states concerned. In the case of a society of which the members are cooperative societies, it should be signed by duly authorized representations of at least five such societies registered in different states (Sec.6). Their main objects shall be serving the interests of members in more than one state and their by-laws shall provide for social and economic betterment of their members through self-help and mutual aid in accordance with co-operative principles (Sec. 7). Otherwise, they are ineligible for registration. A multi-state co-operative society is a body corporate with limited liability (Sec.9). In order to ensure financial discipline, extensive provisions have been enacted. No part of the fund other than net profit shall be distributed among members (Sec.62). Investment of society’s fund only in recognized securities is permissible (Sec.64). Contribution to political parties or loans to non-members or borrowing from external sources are prohibited. Annual auditing by recognized auditors is mandatory (Sec.65). Central Government may direct for special audit if it is of the opinion that the society’s affairs are not being managed in accordance with the co-operative principles or prudent commercial practices (Sec.77). four copies of the proposed Bye-laws.of the Multistate cooperative society.,duly signed by each of the persons who sign the application. Name of the proposed multi-state cooperative society. Head Quarters and address to be registered. a list of persons who have contributed to the share capital, together with the amount contributed by each of them, and the admission fee paid by them. a certificate from the Bank or banks stating the credit balance in favour of the proposed multistate cooperative society. a scheme showing the details explaining how the working of the multi-State co-operative society will be economically sound and the registration of such multi-State co-operative society will be beneficial for social and economic betterment of its members through self-help and mutual aid in accordance with the co-operative principles. certified copy of the resolution of the promoters which shall specify the name and address of one of the applicants to whom the Central Registrar may address correspondence under the rules before registration and dispatch or hand over registration documents. We are from J&K state. We want to start multi state coop society. Waiting for early respond. How & wherer we apply for mscs, In our State? In our Diostrict? Ya in Delhi Only? how can bank certificate of credit balance in favor of PROPOSED multi state co-operative be given. How one can open a bank account and deposit money in the name of PROPOSED body corporate. 105 queries in 0.195 seconds.